Facebook is testing a new method to get people to make new connections on the social networking site The company is testing a feature called" things in common "The name suggests before, it highlights things that are common between you and a non-friend user. So, for example, if you have a colleague with whom you have not yet made friends with Facebook, the page will highlight that too Convince (19659005) According to Cnet, Facebook is testing this label feature with a select group of people in the US, and there is not a word about when it will be available to all considering things like shared city, shared Facebook Groups, colleges, c jobs, and more such things. The report states that only things published by the user are displayed in the label. When you browse a product page that usually contains many comments, users who have commented on the post have labels that depend on their commonality with them. So, if a user who comments on a thread from the same workstation as you and just scrolls past it, a caption will appear over the user's name informing you that he is in the same workspace as you. This will allow you to discover people with common interests who are not on your friends list. Facebook notes that this only works for public posts and that labels only retrieve information published by the user. "Knowing things in common helps people connect." 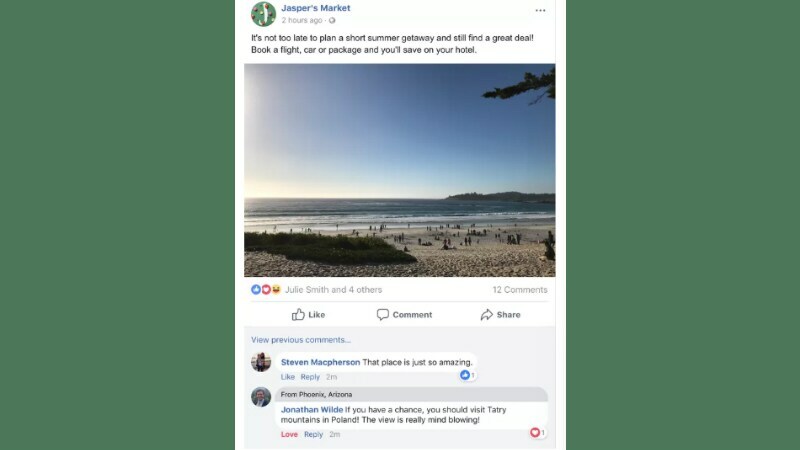 We're testing to add a "similarity" label that appears above the comments of people you're not friends with, but with whom you may have something in common, " said Facebook spokesman publication. This new feature will also help tackle fake accounts and build real citizenship.